4 Tips to Get Back into the Swing of School - SchoolFinder.com! Easy ways to make the most of school start-up if you’re new to VIU. It’s that time of year again – back to school. You’ve got your textbooks, your school supplies and a place to live – what now? 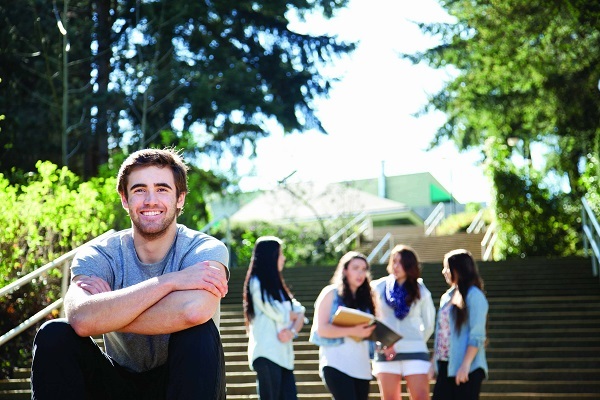 Here are four tips to help you get settled in at VIU. The best way to meet other students and feel part of the University is to do fun stuff on campus. Join a club, go see a play at the Malaspina Theatre, watch the Mariners in action, check out a film, or peruse the many events and activities Campus Rec offers, from hiking trips to intramurals and fitness classes. Visit our Connect website to learn more. Getting familiar with academic standards at the university level and where to go for help will pave the way to a successful first year. VIU’s Learning Matters website is a great place to get some learning tips, study strategies and info about different supports available. Worried about writing those research papers? The Writing Centre is staffed by qualified and friendly faculty tutors – and it’s free! Feel free to drop in, or make an appointment for a face-to-face or e-tutoring session. Unsure of what you want to do with your education? VIU’s Educational Advisors can help you explore careers and decide on a plan that meets your short and long-term goals. Struggling with how to pay for it all? VIU gives out more than $3.5million in scholarships, awards and bursaries every year – and applying is as simple as filling out a profile in your online Student Record. As a regional university, VIU provides more opportunities to engage in undergraduate research than some larger institutions. The University’s Centre for Experiential Learning offers a range of co-operative education programs, as well as on-campus work-op positions, research positions and in-community opportunities.